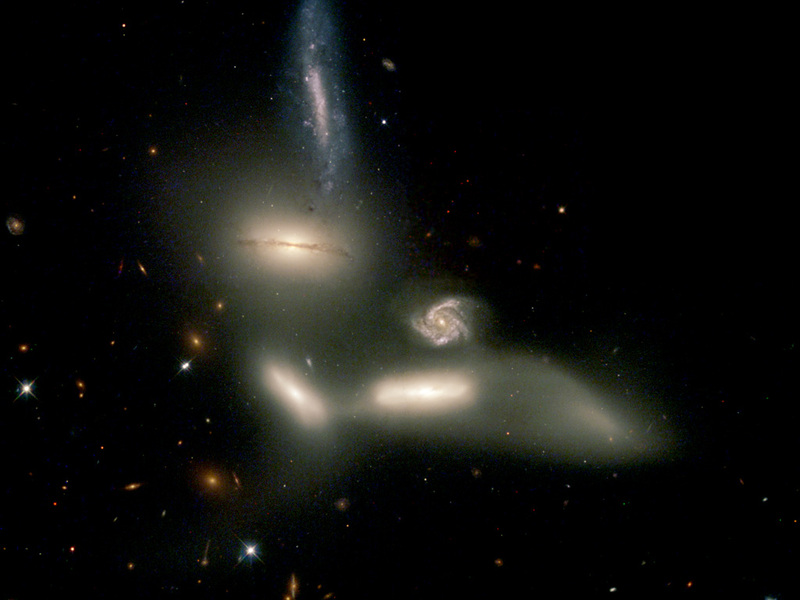 The NASA/ESA Hubble Space Telescope is witnessing a grouping of galaxies engaging in a slow dance of destruction that will last for billions of years. The galaxies are so tightly packed together that gravitational forces are beginning to rip stars from them and distort their shapes. Those same gravitational forces eventually could bring the galaxies together to form one large galaxy. 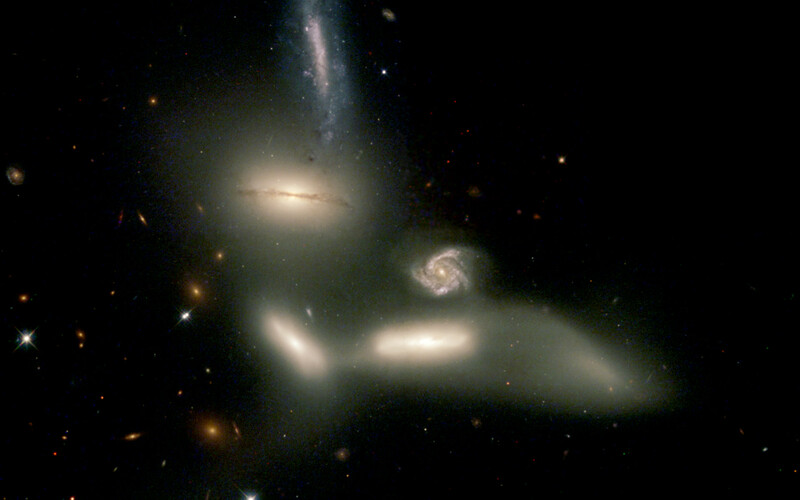 The name of this grouping, Seyfert's Sextet, implies that six galaxies are participating in the action. But only four galaxies are on the dance card. The small face-on spiral with the prominent arms [center] of gas and stars is a background galaxy almost five times farther away than the other four. Only a chance alignment makes it appear as if it is part of the group. 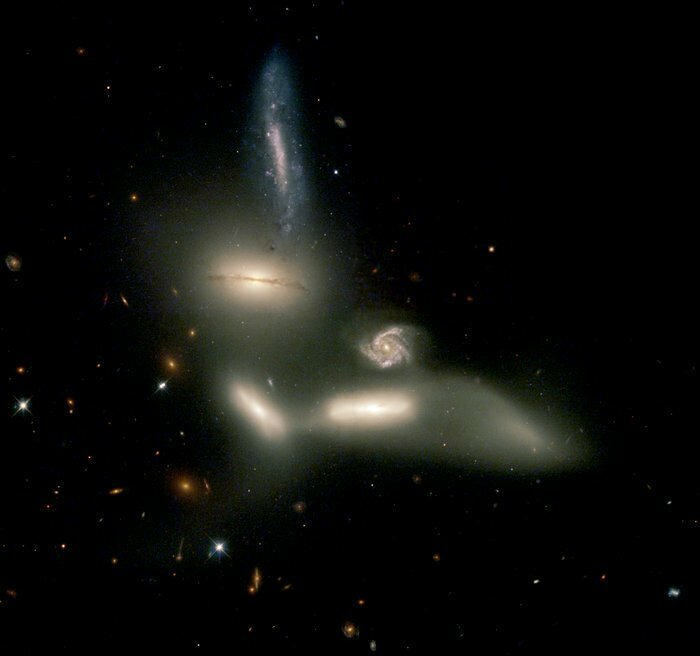 The sixth member of the sextet isn't a galaxy at all but a long 'tidal tail' of stars [below, right] torn from one of the galaxies. Position (Dec): 20° 45' 30.32"